Festive Ornaments Kit FO2640K. 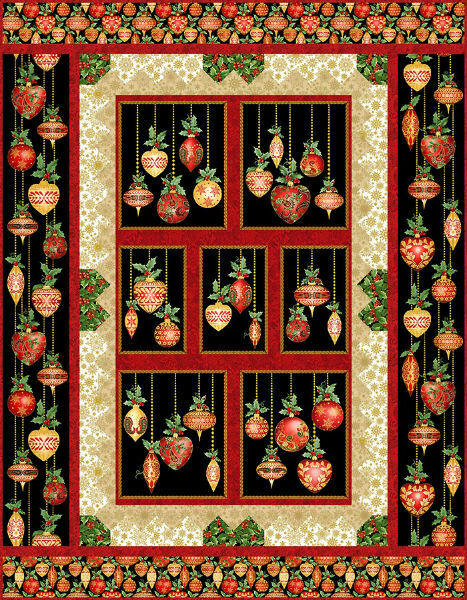 This quilt kit features fabrics from "A Festive Season" by Jackie Robinson for Benartex. Red and gold ornaments look stunning on the Christmas tree and on this black stripe background. Christmas is such a joyful, glimmering holiday, so why not create a glimmering Christmas quilt? The kit includes the pattern and instructions, plus fabrics for the quilt top plus binding. (You will need 3 yards for backing - not included). Finished size: 45" x 58".